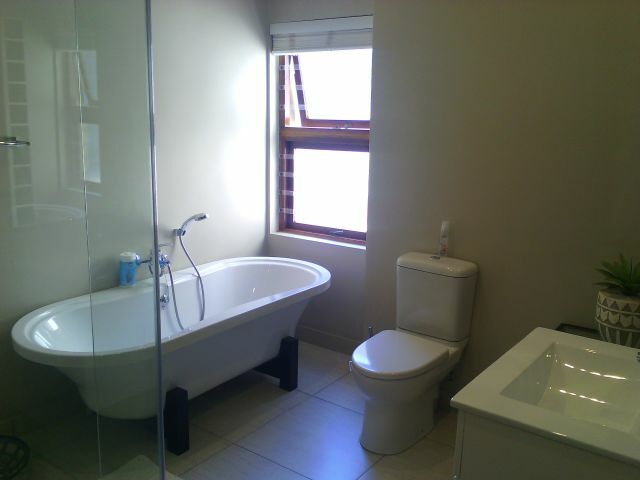 CONTACT THE OWNER - ENQUIRE NOW ABOUT ID: 35595 - CLICK HERE ! 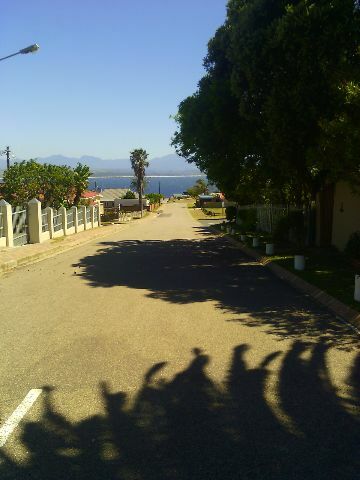 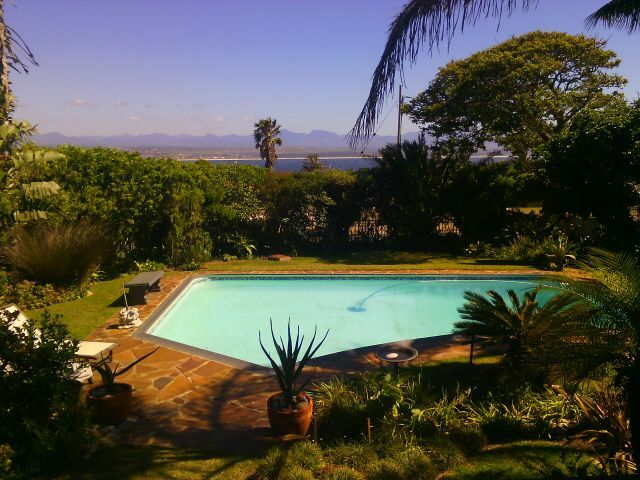 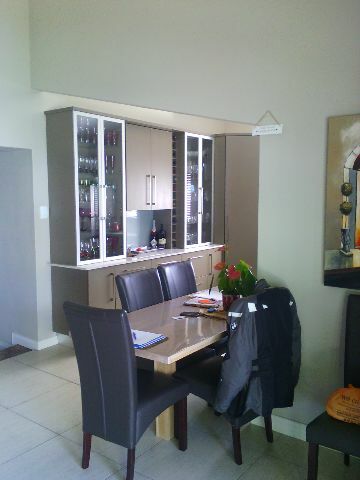 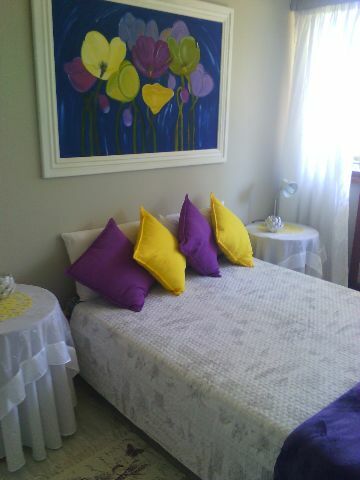 Rates Comments : R 2,700.00 per night. 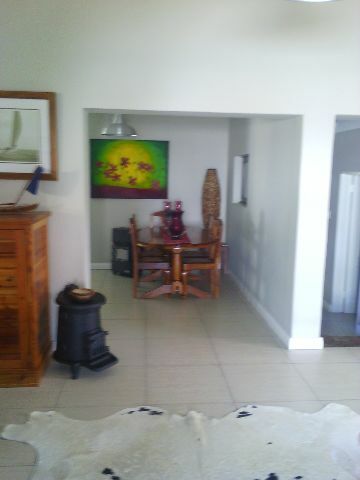 Description : This spacious Holiday house is close to Santos beach and the Point. 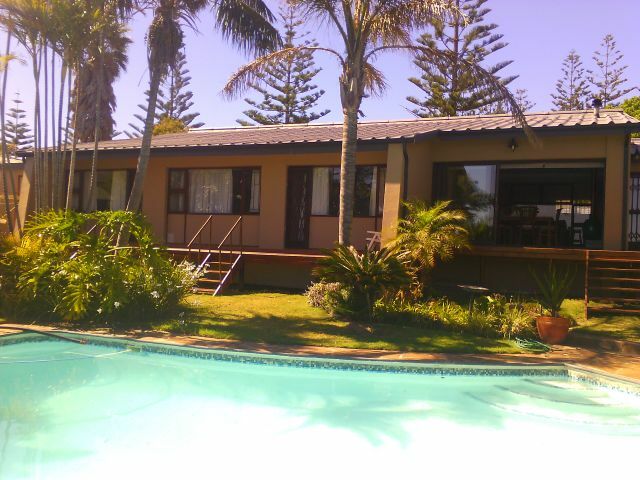 The house has a Lounge, open plan family room and a dining room that walks out on a deck, from the deck you can take the stairs down to the garden and a beautiful pool. 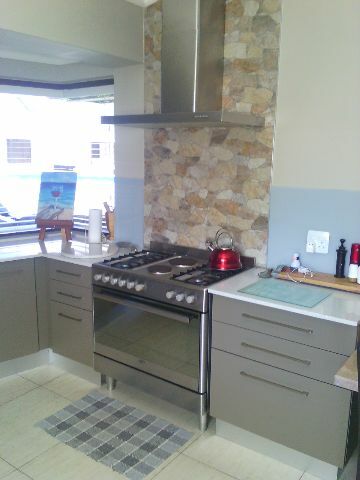 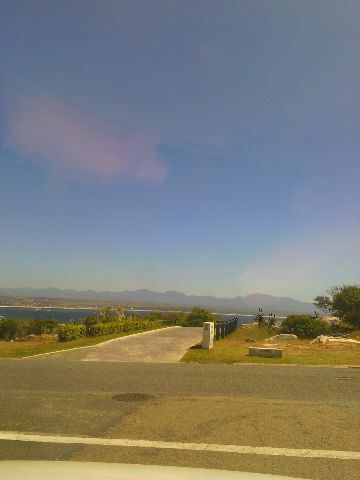 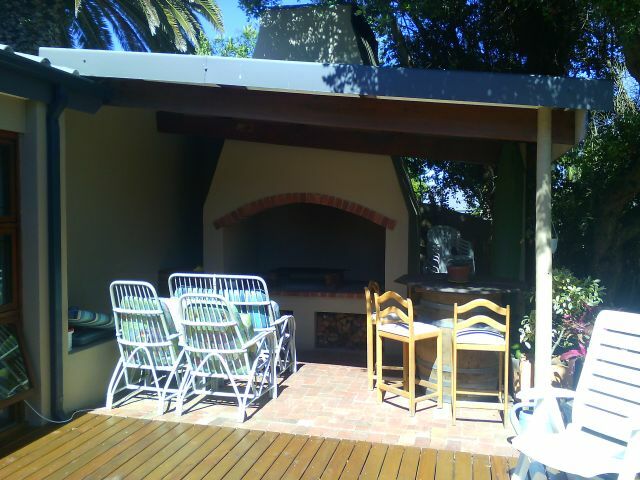 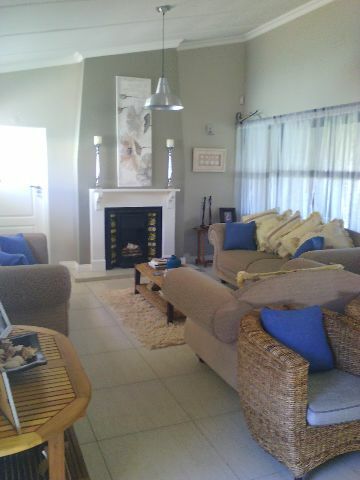 The built in braai is outside where you can sit and enjoy the beautiful view of the ocean and Rob island. 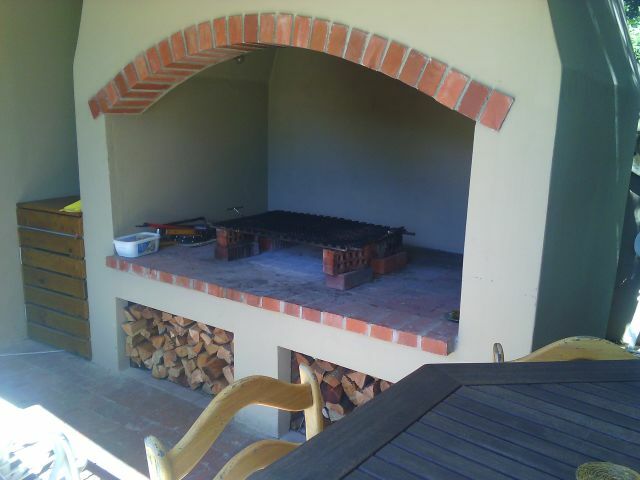 There is also a full DSTV available. 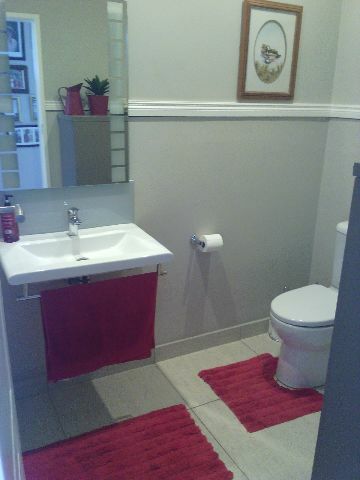 Red & Purple room shares a full bathroom. 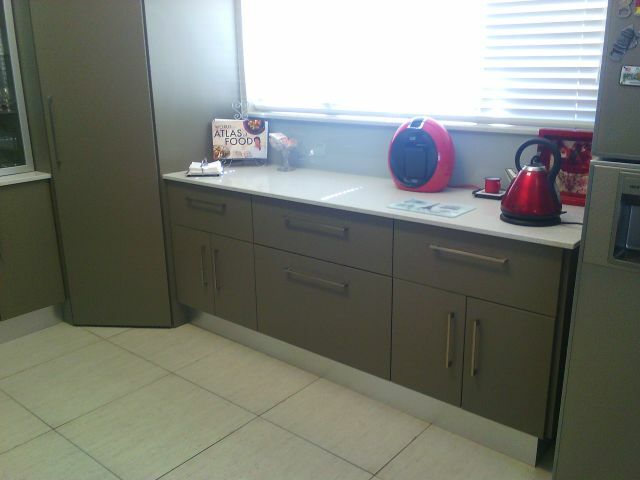 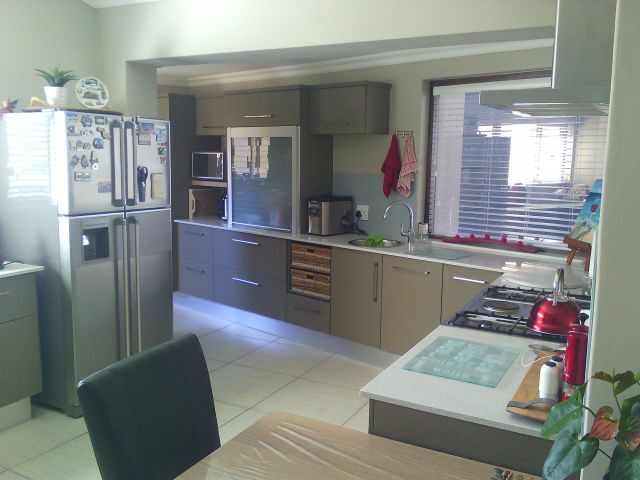 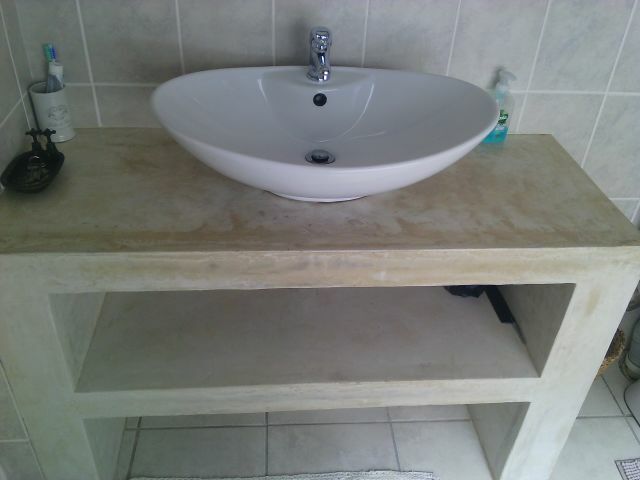 The beautiful fully equipped kitchen has all the facilities that you need with a scullery. 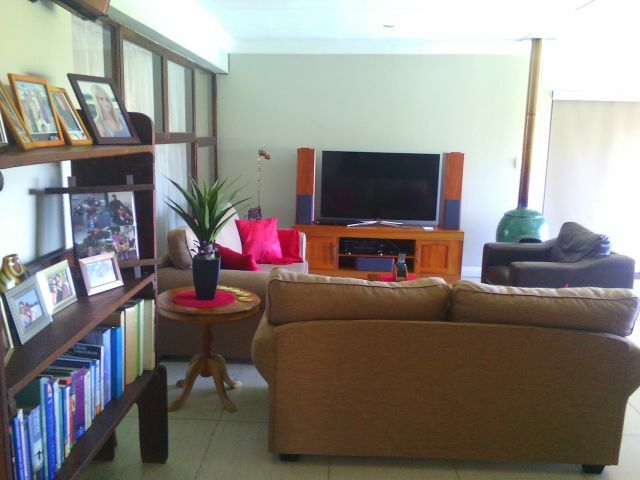 The house has an alarm system with a remote and electric fencing. 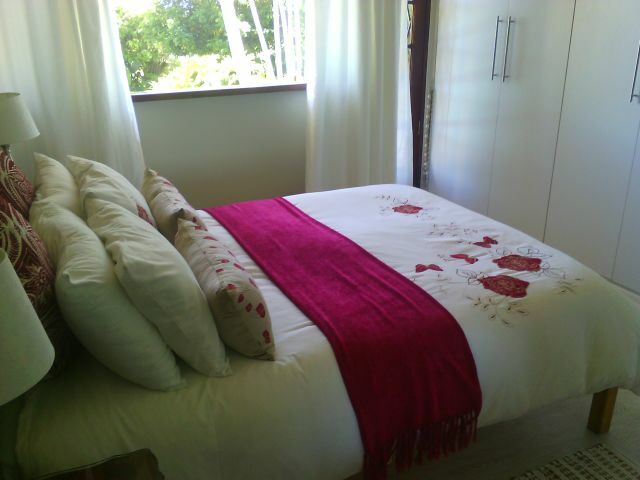 The house can sleep 7 but it has to be requested and the extra bed can only accommodate a child up to 12 years of age. 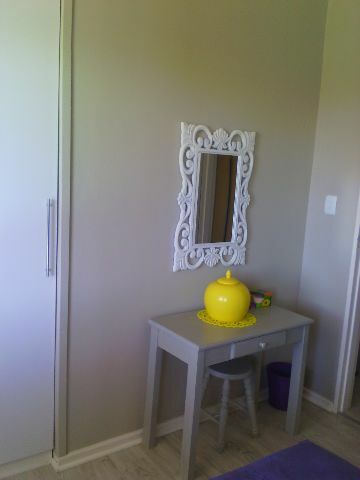 Children below 3 will not be counted. 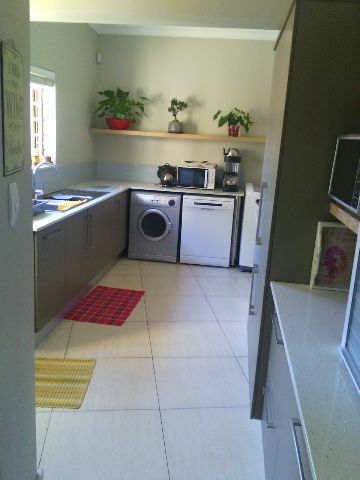 There is a cleaner included in the rate, that will come in twice a week to do the cleaning. 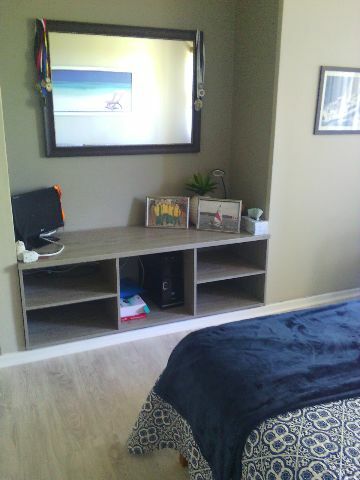 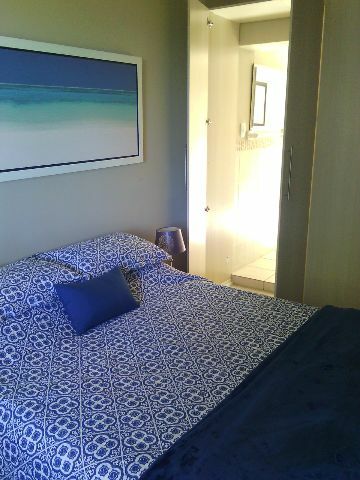 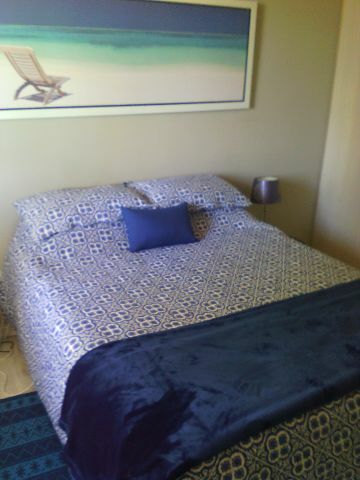 Bed Configuration : Blue Room - Queen bed with en-suite and a door that leads out onto the deck. 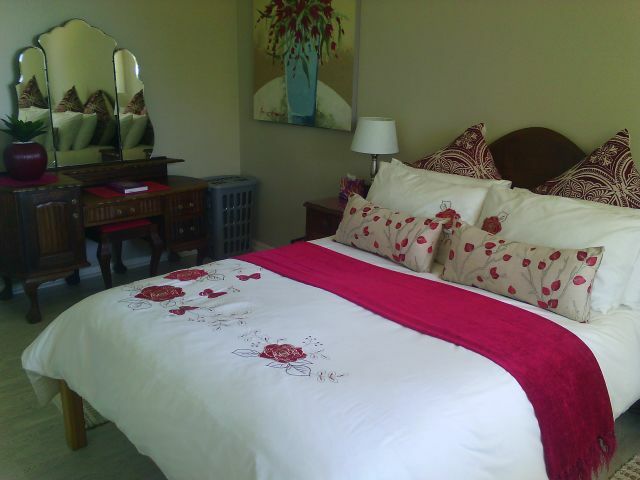 Red Room - Double Bed and a door that leads out onto the deck. 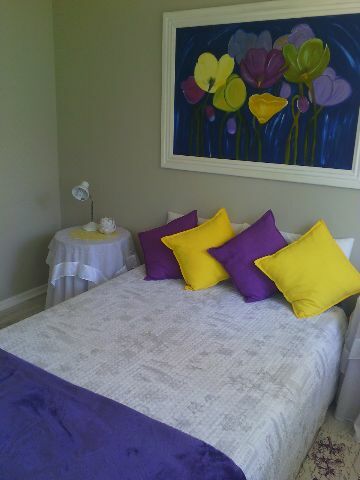 Purple Room - Double bed. 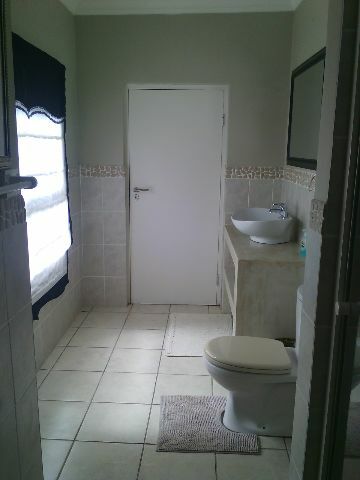 Red & Purple room shares a bathroom.